This is encouraging to hear, and the prospect of A Quiet Place 2 is significantly more exciting knowing that John Krasinski will still be involved. Andrew Form did not however reveal to Collider exactly how John Krasinski will be involved, whether it be as director, writer or as a hands-on kind of producer. Although I imagine that may be something that hasn’t even been decided yet. The nice thing, and something rather surprising, is that there doesn’t seem to be any rush from Paramount to get the sequel out. The studio was probably surprised with the success of A Quiet Place and knows that it has something good on its hands, but instead of rushing to capitalize and risking putting out a subpar sequel, the team is being allowed to take its time to come up with the right story. The other thing that more time affords, in theory, is a greater possibility that John Krasinski could return to direct. With the success of A Quiet Place, John Krasinski is going to have no shortage of offers on the table now that he has announced himself as a director to watch. That’s in addition to the fact that he has an ongoing TV series, Jack Ryan, that premieres on Amazon Prime later this summer and has already been picked up for a second season. Then, of course, there is the fan-driven hope that he will be Reed Richards in an MCU Fantastic Four movie. So he is a busy guy, but if the sequel is allowed to build organically, maybe the schedule will work out so that he can return to the director’s chair. 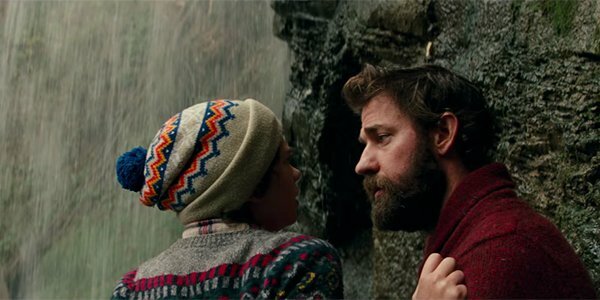 John Krasinski not only directed and starred in A Quiet Place, but he also did a rewrite on the script and made significant changes that altered the structure of the film. So having John Krasinski and his sensibilities back onboard in any capacity only bodes well for A Quiet Place 2. He even has some ideas for what the sequel could be about. A Quiet Place is now available on Digital HD and it hits DVD, Blu-ray and Ultra HD 4K on July 10. For all of the biggest movies hitting theaters the rest of this year, check out our release schedule.